The box office power of “Star Wars: The Force Awakens” wore off this week as Universal Pictures’ “Ride Along 2” unseated the latest chapter in the space saga from the top spot it’s held for four weeks. 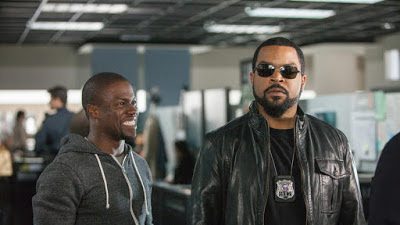 The sequel to the 2014 buddy cop comedy hit starring Kevin Hart and Ice Cube grossed an estimated $34 million in the U.S. and Canada this weekend. This sets up the film to retain the first place spot through the Martin Luther King Jr. Day weekend to meet, if not exceed, its $40 million to $45 million in expected ticket sales through Monday.